One year’s end and the next year’s beginning marks our annual time of retrospection and resolution. We will see and make lists of key 2018 events, notable deaths, best of this and worst of that, recipes, sports plays, etc. We love to do “the year in review,” retrospective exercise. It is actually a “God thing” to remember. God encourages us to remember his will and works throughout Scripture. The Lord’s Supper is the greatest of Jesus’ commands to remember, to engage in retrospection. “Do this in remembrance,” “proclaim the Lord’s death,” “as often as you do this”—all are designed so we live the present in light of the Gospel events. That is the very definition of retrospection—simply looking at your present situation and circumstances in light of the past and looking at the past in light of your present. Resolution is the “so what” of retrospection. Resolutions is the second part of our New Year’s routine. After remembering and reflecting on what God has done, God calls us to submit our will to His will. Every good resolution begins with an, “I will…” and ends with, “as God wills and empowers me.” The best resolutions begin with, “We will…”and ends with, “as God wills and empowers us.” Apart from Jesus, we can do nothing. Despite our culture’s obsession with self, God calls us to live in community—a community with a purpose. When Jesus said, “as often as you,” you is plural. “As often as all of you eat this bread and drink this cup,” we proclaim the Gospel of Jesus Christ to all those within our collective reach. The CBA Church Network is a community of churches that connect, collaborate and engage in the work of the Gospel of Jesus Christ. It is our collective mission to proclaim the Gospel. In the spirit of New Year’s retrospection, how have we done in executing our Gospel mission in 2018? A retrospective on CBA’s faithfulness to our mission begins with acknowledgement of, and gratitude for, the faithfulness of our 120+ member churches to the Gospel. The true Gospel work in our region occurs through the daily, living witness of church members where they live, work, and play. God continues to move almost 80 people to Collin County every day. CBA partnered in 6 church starts (Frisco-2, Plano, Murphy, Garland, McKinney). These churches see one baptism for every 24 in attendance! Three area churches joined our network. 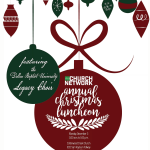 CBA helped to launch the SEND North Texas Church Starting Center, a partnership between CBA, the Denton Baptist Association, and the North American Mission Board. This fall we held our first SEND North Texas Church Planter Assessment Retreat and worked with four couples whom God has called to help grow the Kingdom in North Texas. Initiated a church-to-church outreach/evangelism partnership with the Baptist Union of Hungary. 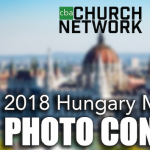 We had 50 people from 12 CBA churches connect with 12 Hungarian churches. The Gospel was shared 1000s of times. CBA collaborated with BSM student work at all Collin College campuses and UT Dallas by providing financial support, church connections, and strategy development. CBA churches and our auxiliary, Collin Baptist Men, provided thousands of volunteer hours in Hurricanes Harvey (Houston) and Maria (Puerto Rico) recovery and Hurricane Florence (Carolinas) and Michael (Florida) relief work. Work in Puerto Rico will continue into the coming year. CBA disaster relief units (chainsaw and clean out) were deployed almost all year. The same group helped churches engaged in community clean-up projects and special needs. Our clean out unit helped Willowbend Church in Plano by tearing out flood-damaged sheetrock. CBA’s women’s auxiliary (WMU) initiated and led local participation in the World Day of Prayer effort and kept missions awareness in their churches elevated. And, were recognized by the State WMU for their many years of service. CBA engaged churches with the Museum of the Bible effort to eliminate Bible poverty. Ten CBA pastors journeyed to Washington DC to experience the Bible translation challenge—translate the Bible into every known language. CBA missionary staff exists to see churches and pastors succeed. The staff and I spent thousands of hours helping churches with pastor transition (four churches in 2018), church revitalization/replanting (everything from strategy development, mission field analysis, to conflict intervention), leadership development (sponsored/co-sponsored three seminars and eight networking opportunities), ongoing evangelism/mission initiatives, and pastoral care to church pastors and staff (they need what they provide). You can read more about how local Baptist associations help churches in this article. As I write this retrospective look at 2018, my heart is full of gratitude and thankfulness for all God did and is doing in our network. CBA is executing our mission as led and empowered by God. Retrospectives lead to resolutions. What is CBA’s 2019 resolution? To be a network of churches that live for the day every girl, boy, woman, and man within our reach experiences a living witness to the Gospel of Jesus Christ. Almost 700,000 do not follow Jesus today. On the average, God continues to bring 80 people to our area each day. Their eternity demands our urgency. Resolutions are tricky. 80% of Americans do not keep a New Year’s resolution past February! I made a personal one in 2018 to exercise more, eat less, and lose weight. I made that resolution many times before. You probably have too. This year was different, however, because I finally admitted I need help. I hired and pay a trainer. His name is Clark and he meets with me almost every week. I call him Clark Kent when he isn’t listening because to work with someone like me you have to be Superman! Clark encourages me, gives me a plan to work, works along side me, occasionally rebukes me, and he connects me to other people working plans like me. The results? This year I weigh 30 lbs less, my BMI is 10% lower, and my stamina is better than last year. I will continue to work with my coach in 2019 because I still have a long way to go. The total weight I needed to lose was overwhelming. Before Clark, I gave up by February like everyone else. I have learned being healthy requires community and financial commitment. Like my trainer helped me, CBA exists to help churches connect, collaborate, and engage in the work of the Gospel. The need to reach 700,000 people with a Gospel witness is overwhelming. In today’s environment, simply taking care of the people you have is often overwhelming. The work is easier with someone to help. For those that we already help, thank you for the privilege of being your partner. For churches that haven’t asked for help, please know we exist to help churches.